The Fencers is the third volume in a trilogy of autobiographical Cold War Escape stories. 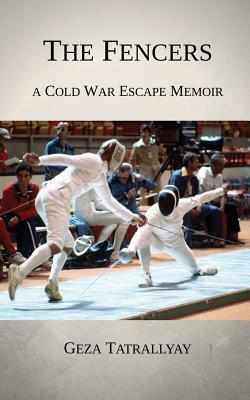 It is both an immigrant's narrative of seeking a better life and a brighter future and a sports memoir focusing on two Olympic fencers, one representing Canada, the other Romania. Most of all, it is the account of the author's friendship with Paul Szab , a Romanian-Hungarian ep e fencer, Szab 's love for a young woman he married and her tragic death. In Romania, the country Paul represented in the 1976 Olympics, Nicolae Ceaușescu was then President. Mismanagement, rampant corruption, mass surveillance, brutality and human rights abuses were rampant. Ceaușescu's Stalinist secret police, the Securitate, was particularly notorious for purges, oppression and restrictions of freedom of the almost two million Hungarians, like Szab , who had lived in Romania for centuries. And it was in this context that Paul, only twenty-one at the time takes the difficult decision to stay in Canada, with the prospect of never seeing his parents and homeland again. He approaches his friend, Tatrallyay, who against all odds helps him defect to Canada and start a new life in his chosen country. The Fencers is an exciting true story of courage, friendship, love, happiness, success and tragedy.